An injury-time leveller from Tyrone Williams saw Athletic denied a third straight win in the National League at 10-man Solihull Moors. The right-back bundled in late on to cancel out Scott Doe’s volley just before the break. 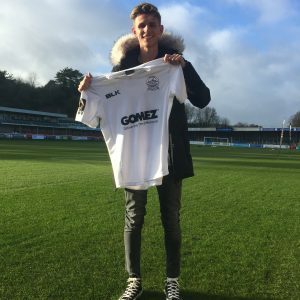 Alfie Pavey had tapped Dover into an early lead, with Danny Wright equalising for the hosts. Wright nearly handed the hosts the ideal start, curling just off target within a minute of the kickoff. Instead, it was the visitors who made the early breakthrough thanks to their in-form striker. Bobby-Joe Taylor sent in a low cross which the Solihull defence were unable to clear, leaving Alfie Pavey the simplest of finishes for his fifth goal in six matches for Athletic. Nathan Blissett almost latched onto Taylor’s misplaced pass, but Doe was on hand to clear the danger. Wright then went down in the area, only for the referee to wave away the forward’s claims for a spot kick. Darren Carter had sight of goal from the edge of the D, but fired straight at visiting stopper Lee Worgan. Athletic’s keeper then had to be at his agile best to deny Wright. The target man headed a corner goalwards, only for Worgan to pull off a flying save to divert the ball over the bar. Former Cheltenham striker Wright was not to be denied when his next chance arrived on 38 minutes. Worgan could only parry Jamey Osborne’s fierce 20-yard drive as far as wright, who stabbed in the equaliser. Dover’s keeper was insistent Moors’ scorer was in an offside position as he put the ball in the net, but his pleas to the linesman were in vain as the goal stood. However, the visitors were ahead once again six minutes later. Ryan Boot could only punch Taylor’s swirling set-piece as far as the lurking Scott Doe and the defender made no mistake with a volley that flew past the home goalie and into the back of the net. Tim Flowers’ side found themselves a man light five minutes after the interval when Liam Daly was shown two yellow cards in quick succession, the second for an elbow on Pavey during an aerial challenge. But the 10-men nearly restored parity when Jermaine Hylton fired wide of the mark from Jamie Reckord’s ball into the area. And Whites nearly extended their lead after some calamitous goalkeeping from Boot. The stopper miscontrolled Williams’ backpass and had the scramble the ball off the goal line with his feet. Hylton tried again from distance, only for Worgan to get his body behind the ball. There was then a heart-in-mouth moment for Dover’s stopper after spilling Osborne’s low shot, however, a foul was given against Hylton for his challenge on Worgan when trying to pounce on the rebound. Substitute Anthony Jeffrey went close, blasting inches past the far post from fellow sub Ricky Modeste’s pass. Hylton, Blissett and sub Advil Yussuf all had efforts, but none were able to trouble Worgan as the clock ticked towards full time. And Moors were rewarded for their pressure as Williams tucked the ball between Worgan’s legs three minutes into injury time to ensure the points were shared, although Yussuf also claimed he got the final touch before the ball crossed the line. 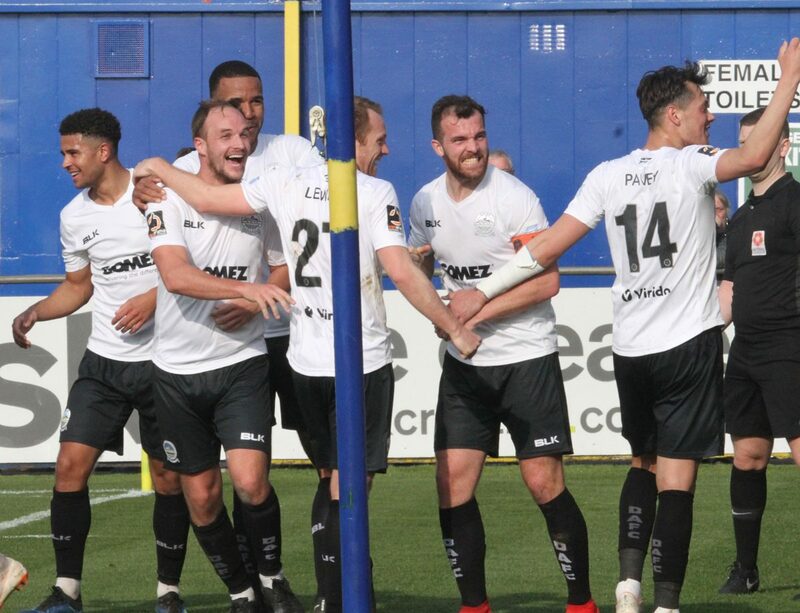 The draw sees Dover drop one place to 20th on the league ladder, however Havant & Waterlooville’s draw at Sutton United means the Kent side remain eight points clear of the bottom four. Earlier, boss Hessenthaler named the same side that started at Dagenham & Redbridge on Tuesday night. 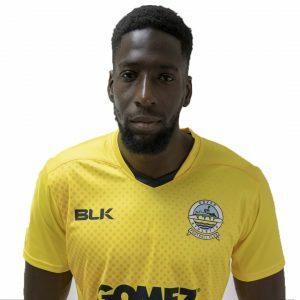 Ricky Modeste replaced Kadell Daniel on the bench.